Blues centre Sonny Bill Williams is set to undergo knee surgery that will keep him out of action for at least six weeks. 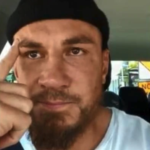 Sonny Bill Williams has shared an emotional video in support of the victims of the Christchurch mosque shootings. All Blacks centre Sonny Bill Williams will miss the clash against Ireland in Dublin this Saturday due to a shoulder injury. Sonny Bill Williams will lean on his experience as a boxer when he faces the Springboks in what should be a gruelling physical contest on Saturday. JON CARDINELLI reports from Johannesburg. 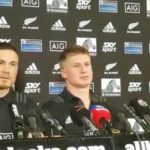 All Blacks centres Sonny Bill Williams and Jack Goodhue address the media in Johannesburg on Thursday. 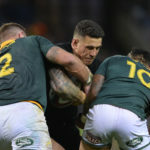 All Blacks coach Steve Hansen has hailed Sonny Bill Williams’ unique set of skills ahead of Saturday’s Test against the Springboks, writes CRAIG LEWIS in Pretoria. Sonny Bill Williams will take on Bachelorette TV series winner Stu Laundy in an exhibition fight.